My lovely sponsors make it possible for me to chase my blogging dreams, but most of all, they are all talented, creative, and basically wonderful. If you love to discover new blogs and shops, please check them out - I promise they're well worth it! 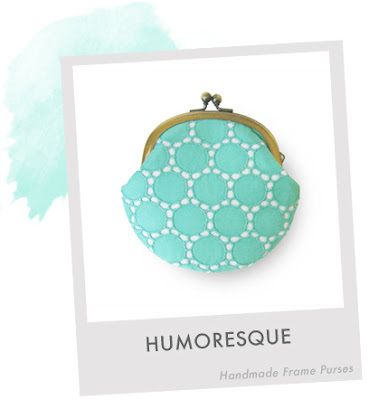 Humoresque specializes in pretty framed purses, handmade with premium textured fabrics. They are all adorable and come in many colors and shapes! 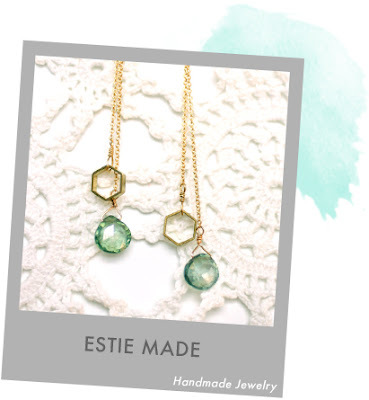 Estie Made shop is filled with handmade jewelry, both delicate and unique, very affordable and easy to dress up or down. Esther, the sweet person behind Estie Made, can also be found on Facebook, Pinterest, and her inspiring blog. 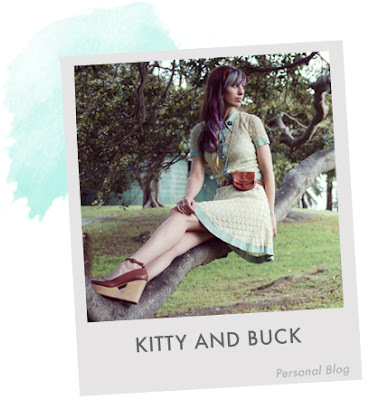 The super sweet Kitty of Kitty and Buck shares DIY projects, unique outfits, snippets of her life and much more. Plus, I'm in love with her amazing multi-colored hair! She can also be found on Tumblr, Twitter and Pinterest. 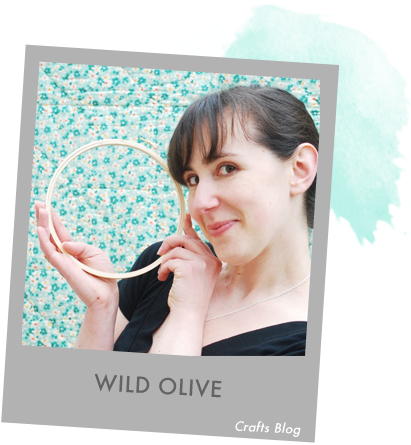 I've been a long time fan of Wild Olive, a blog that focuses on embroidery and DIY, with some printables and plenty of cute thrown in for good measure. Mollie, the insanely creative mind and hands behind Wild Olive, can also be found tweeting, pinning, or creating cute things for her Etsy shop. 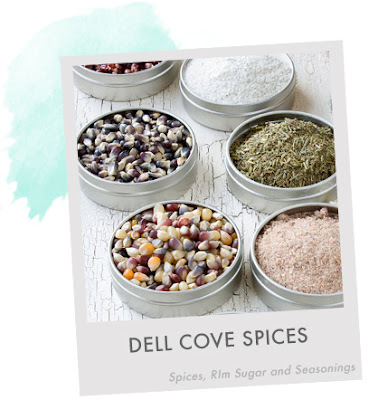 Dell Cove Spice Co. has the most unique and delicious looking cocktail sugars and margarita salts, gourmet herbs and spice kits, tasty popcorn kits and salts, and much more. Fresh, quality ingredients and recipes you can't find at the supermarket - so you can cook, experiment and throw the perfect party! 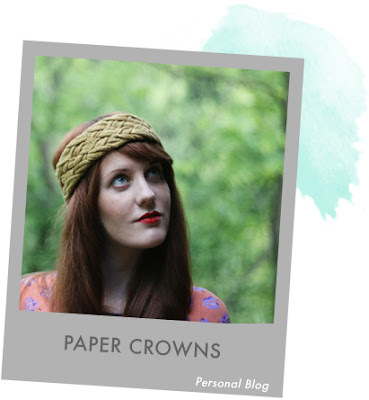 I could brag all day about Natasha and her fabulous blog, Paper Crowns, where she shares various things that inspire her, snippets of daily life, design, and more. Natasha has impeccable taste and crafts each post in an artful, inspiring way. Wantworthy is a practical tool that lets you keep track of everything you want and save products from any site in one tidy list. It works just like Pinterest but is more focused on shoppers who are actually looking to make a purchase, and therefore more functional for that purpose, while Pinterest is more aspirational and inspirational. And the site is so well-designed, uncluttered, and downright clickable, that it couldn't be easier to browse your wish list or share opinions with friends. See my list here or learn more and sign up here. - The Ink Nest is a high quality clip art and illustrations resource. They carry the prettiest, freshest hand drawn royalty free clip arts.